*This is a work of fiction. Any resemblance to people living or dead is interesting, but accidental. 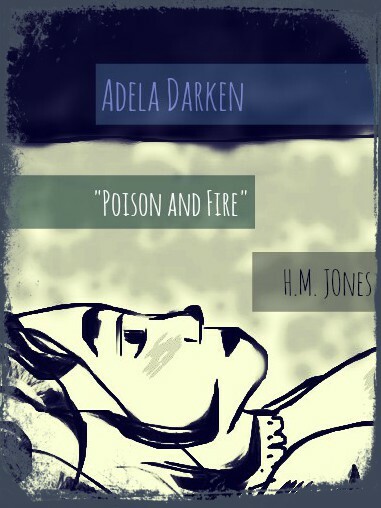 Adela Darken, her stories, her mishaps and her daring deeds are the work of H.M. Jones, 2015. She owns the copyright to the words and art seen on these pages. Her imagining are not to be illegally thrashed about the interwebs in a haphazard manner, thank-you very much. She would like to relate, in an offhand and non-threatening manner, that she is conveniently married to a lawyer. She also happens to have a cabinet of noxious poisons. And a pair of deadly snakes, some live scorpions and a bad tempered rabbit. All of these fictional and non-fictional things guard her mental property. She will not tell you which is which. So beware! Adela Darken's "Plots & Pitfalls" will be available with 9 other full length novels in The Duaghters of Destiny boxset. Get your copy!